How does Zarco do it? The Frenchman was 26-years-old when he made his premier-class debut in Qatar. Compare that to MotoGP’s previous red-hot rookies Marc Márquez and Maverick Viñales, who were both 20 when they graduated to the premier class. France isn’t mad about toddler racing like Spain, so Zarco started relatively late and didn’t get fully serious until he was in his teens. When he was 16 he loaded up his 50cc scooter and rode 150 miles to live with the family of Laurent Fellon, who has been his mentor and manager ever since. Zarco was almost 19 when he made his GP debut, by which age Márquez had already won two world championships. Last season Zarco brought amazing speed and aggression to MotoGP, pushing several older riders into pot-calls-kettle-black mode. This is something I always find hilarious, like Keith Richards decking fellow Rolling Stone Ronnie Wood for “threatening the band’s existence” when Wood got into crack cocaine shortly after Richards had weaned himself off. But Zarco’s ability to rough up the status quo isn’t the only thing that makes him so impressive. He won two Moto2 world titles largely thanks to his glass-smooth riding technique, which he used to save the tyres to give him a killer advantage in the final laps. He brought the same technique to MotoGP, which makes more of a difference now than it would’ve done before the class switched to Dorna electronics and Michelins, because now riders need to pay more attention to traction, wheelspin and tyre life. MotoGP’s current traction control is much less sophisticated than the money-no-object factory kit, so the rider must control wheelspin with his right wrist, which is no doubt a bigger ask for those accustomed to grabbing a big handful and letting the factory-spec little black box do the hard work. On top of that, Michelin’s rear tyre offers less drive grip than the Bridgestone’s, so the rider must think and work twice as hard: not only must he search for the best drive, he must also take care to save the rear tyre, because too much spin doesn’t only hurt lap times, it also overuses the tyre. 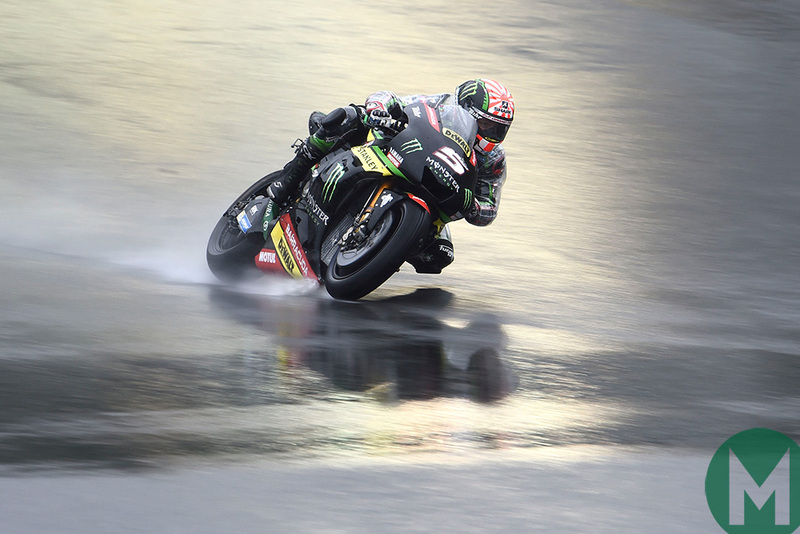 Even in Argentina, where Zarco was smoking the tyre out of corners, he was able to maintain momentum. His secret, beyond his throttle technique, is his feel for the tyres, so he can adapt his riding technique, corner by corner and lap by lap, according to tyre performance and tyre wear. Thus, rookie Zarco and his second-hand, year-old Tech 3 Yamaha often embarrassed factory riders Viñales and Valentino Rossi. The factory team raced four different chassis last season, complaining to the end, but when Zarco tried a 2017 chassis at the Valencia post-season tests he loved it. Yamaha is in a tricky position, with different feedback coming from different riders. Since the change of tyres and electronics the factory’s win rate has slumped by more than 50 percent, which is a disaster. Yamaha engineers need good feedback to dig themselves out of that hole, but now they have Viñales and Rossi saying the 2017 bike is rubbish, while Zarco says it’s great. Zarco is refreshing in many ways, not merely in his lack of deference when doing battle with the established stars. He doesn’t even begin to pretend that he’s some kind of rock and roll MotoGP warrior. He doesn’t have tattoos or fancy haircuts, he doesn’t do Twitter and he would much rather not have to deal with journalists. His media debriefs are entertaining because he nearly always includes a little dig at one or all of us. The big story for most journalists during the post-Valencia GP tests was his pace on the chassis rejected by the factory team. When a journalist asked him if he was surprised by his lap times, he answered thus, “I’m not surprised, just happy”. Another journalist repeated the question: surely you must be surprised?! “No, I’m not surprised,” he repeated. “Because I was thinking less about this than all the media were thinking.” Boom! And when a third journalist asked him if his speed might cause problems for Yamaha, because it might destabilise the usual hierarchy between factory team and indie team, he was having none of it. “I’ve never heard that having a fast rider on your bike is a problem for a brand,” he deadpanned. Zarco is all about keeping it simple. He only cares about what will help him win races. Which is why he doesn’t care about journalists and haircuts, among other things. 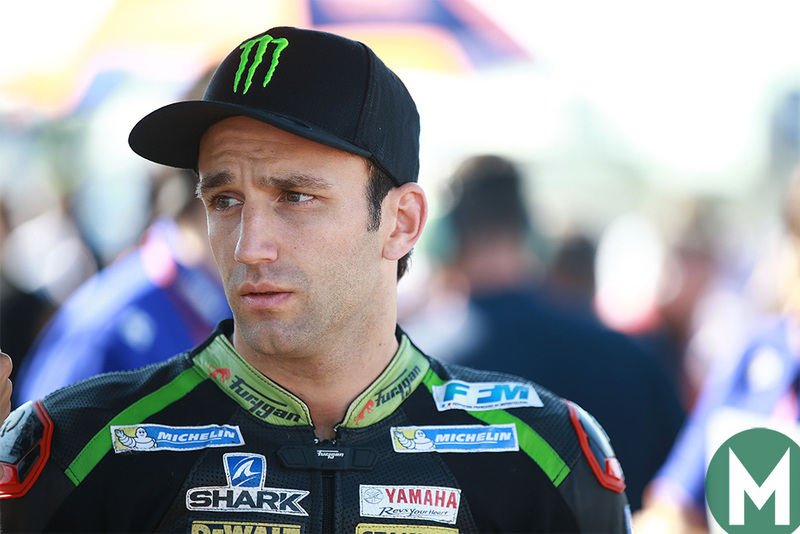 Some people have already lined up Zarco to replace Rossi within the factory team for 2019, if the nine-time world champion decides to quit at the end of next season. But no doubt, other factories are already enquiring about his future plans. Thus Yamaha will have to work hard to keep him. Perhaps they could keep him sweet by offering him full-factory backing for 2018, like HRC and Ducati giving factory kit to Cal Crutchlow and Danilo Petrucci. But apparently not. Zarco will go into 2018 with two different chassis: the 2016 unit he used so well last season and 2017.2 factory frame, which Rossi and Viñales used from June onwards. Who knows what’s inside Movistar’s contract with Yamaha? Perhaps the factory isn’t allowed to give the latest kit to Tech 3. In the old days, when Marlboro bankrolled Yamaha’s 500cc GP team, the tobacco giant’s big-money deal with the factory stated that no other team could get the latest spec bikes. Zarco probably doesn’t care either way: next year all he need do is keep doing what he did last season, while preparing the ground for what will surely be his first full-factory campaign in 2019, whichever factory he chooses to go with. Related: MotoGP 2017: 1126 crashes!